Price Stern Sloan, 9780399541292, 128pp. 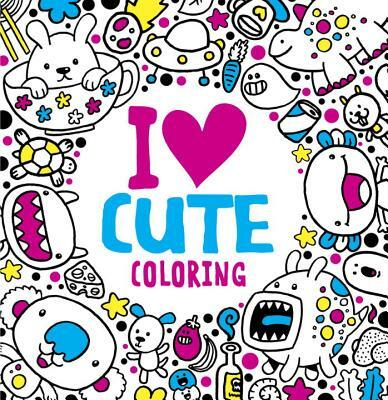 The silly, adorable designs in I Heart Cute Coloring are sure to please coloring enthusiasts of all ages. Children will enjoy the simple art style, and adult coloring book fans will be charmed by the goofy characters and scenes. Every brand of cuteness is covered--from skipping forest critters and baby elephants to lovesick robots and happy cups of tea! This small, chunky book is light enough to slip in a handbag or coat pocket, but includes enough art for hours and hours of coloring. Jess Bradley is an illustrator and character designer based in Bristol, England. She graduated from UWE Bristol in 2003 and has been doodling for a living ever since. Her work appears on many goods, including stickers, postcards, prints, greetings cards, keyrings, badges, and original paintings.